In recent years, California has been faced with drought conditions, reduced water supplies and a consistently growing population. One step the California legislature has taken to address these issues was the adoption of Assembly Bill 1881, the Water Conservation in Landscaping Act of 2006 (the “Act”), which establishes goals for the efficiency and reduction of water usage in California. The Act has been codified in the following California statutory provisions: Section 4735 of the Civil Code; Article 10.8 (commencing with Section 65591) of Chapter 3 of Division 1 of Title 7 of the Government Code; Section 25401.9 of the Public Resources Code; and Article 4.5 (commencing with Section 535) to Chapter 8 of Division 1 of the Water Code, relating to water conservation. The overall goal of the legislature under the Act is to reduce per capita urban water use in California by 20% by December 31, 2020, with an incremental step in water reduction of 10% by December 31, 2015. California’s common interest developments (including condominium projects, planned developments, and stock cooperatives) must be proactive in preparing for water consumption controls in light of these reduced water usage standards. The Act requires, among other actions to meet these goals, that the California Department of Water Resources (DWR) report to the legislature on the status of water efficient landscape ordinances adopted by local water agencies in California. These local agencies are required to adopt a model ordinance crafted by the DWR, or an ordinance at least as effective. The DWR has estimated that California’s population will grow to 45 million by the year 2020 and that in order to preserve California’s water supply, landscape irrigation preservation will be crucial. According to the DWR, landscape irrigation uses a significant amount of water; it is estimated that at least 54 percent of residential water use is for outdoor use (e.g. landscape irrigation). Associations that use water for landscaping, pool and spa purposes and to provide central domestic water will be particularly impacted by the new water law, but all associations will be affected by water consumption and reduction issues. There are many functional steps associations can take to control water usage. The use of detailed metering systems and self-adjusting controllers to limit water usage are key to utilizing the correct amounts of water to landscapes or for use within individual units/lots. Water must also be distributed evenly, resulting in an efficient use of water, without excess water runoff and buildup, or overwatering of certain areas. These mechanisms can only be implemented with the assistance of expert landscape or water use professionals. Experts can also assist an association with inspecting its water systems to determine if current water use equipment is outdated or damaged, and advise if alternative and/or advanced water systems and equipment are feasible given an association’s resources or physical layout. The maintenance and management of water systems is a key factor in efficient water use. Technologically advanced systems that allow for weekly meter readings and monthly reporting standards are examples of how an association’s commitment to lowering its water usage extends far beyond initial preventative measures. Many water systems are comprised of improved sprinklers, nozzles, self-adjusting controllers, sensors and alarms, all of which contribute to an association’s ability to monitor water use and ensure usage levels are not exceeding the usage level most efficient for the association. Such measures can also be used for pollution prevention, which is important in light of the many federal, state and local laws setting standards for the removal of contaminants from water runoff. Without a properly maintained or converted system, associations could face significant legal exposure with a financial impact. The type of landscaping or plants present in an association’s development or premises also plays a key role in the efficient use of water. Associations can consider a reduction of turf to counter the reduction of water allotment that will gradually take place in the next few years, and potentially beyond. Installing drought tolerant and low water using plants as well as climate appropriate landscapes is another way to ensure water efficiency long term. Associations must develop and prioritize their possible options to first meet the 2015 water use reduction goals requirements and then the 2020 goals. Boards should develop a plan to convert irrigation equipment and systems to more efficient equipment and systems, and managers should work with boards to determine the available financial and other resources available to the associations they manage. In evaluating financial resources, boards and managers should consider whether reserve money is available for landscape conversions, and if water reduction savings offset the costs of changes to irrigation systems and plantscapes. A determination will also need to be made as to whether the association is financially capable of purchasing further landscape assistance when necessary. Research on the costs of and payment for infrastructure upgrades and wide-scale changes should be performed with the help of landscape/water professionals, the association’s reserve study provider, financial consultants and other relevant experts, as appropriate. By obtaining information on historical water usage, associations can more effectively plan for the future. If an association monitors its financial savings from water usage reduction or increased costs from the effect of water usage rate increases, as applicable, it will likely be easier for the association to adapt to potential changes in water needs. Associations should consider the formation of a committee tasked with the formulation of water savings programs, policies, or other transitional issues facing the association; such a committee can help alleviate the duties of the board and bring about a more focused effort on the changes in water standards. The likely gradual, yet sweeping changes that may need to take place may (and in many cases likely will) cost an association money in the short term. Education, research, expert consultations, reserve analysis, conversion of equipment, policy preparation and implementation, etc. could be expensive, so associations should budget accordingly. Poor water usage can result in water consumption shortages, poor landscape preservation, and distraught aesthetics, all of which result in lower property values. As 2020 is fast approaching, association boards, managers, homeowners and vendors must all work together to ensure that California’s community associations will be prepared for the coming changes. Boards and managers should also ensure that their association’s governing documents are compliant with Civil Code § 4735, which makes void and unenforceable any governing document provision that prohibits the use of low water-using plants as a group or restricts compliance with certain water efficient landscape ordinances adopted pursuant to the Government Code or certain regulations on the use of water adopted pursuant to the Water Code. In addition, prior to associations amending their landscaping rules, boards should consult with applicable experts to determine if any water and plant related provisions are likely to be outdated and/or need to be updated with respect to the ongoing progress in water conservation measures. An association can also formulate water use and landscaping policies to regulate the use of water; an association’s legal counsel can help ensure that any such policy is consistent with the association’s governing documents and controlling law. Legal counsel should also be consulted before any major capital improvements or major expenditures to upgrade/convert equipment are made, as many governing documents contain member approval requirements before such actions may be taken. In addition, common area modifications and review of vendor contracts are also items which should be reviewed by legal counsel to ensure governing document compliance and legal protection for the association. If a special assessment, temporary transfer from reserves, or a bank loan are being considered to fund landscape and water system upgrades, association legal counsel should be engaged to advise the board on any member approval requirements or governing document or statutory requirements related to those actions. You may be asking what the consequences will be if an association does not comply with the Act and reduce water consumption. An association that does not reduce its water usage 20% by 2020 could be subject to penalties from local water districts; those potential penalties could include fines, tiered water costs, or general water cost increases. Associations that do not reduce their water use could also be limited in their eligibility to participate in and receive water district rebates to replace existing irrigation equipment and/or not be eligible to participate in other local and state incentives. In addition, the consequences of poor water consumption can be severe, including higher assessments, lower property values and common areas that are not attractive and harmonious. Not only could poor planning for and lack of compliance with the 2020 water law result in a loss of financial opportunity and/or increased expenses for an association, failure to take action to be prepared brings up questions of fiduciary duty of an association’s board (and whether failure to act could result in the breach of fiduciary duties). Although 2020 is six years away, compliance will take planning and raising money for changes, which will take time. Community associations need to prepare as early as possible to ensure compliance with California’s water reduction goals. The sooner an association prepares for the 2020 water law, the more financially capable it will be to undergo any necessary conversions, and the more aware and educated homeowners and residents will be about the need to be ready for the changes. Providing homeowners and residents with water usage tips, conservation methods, and updates on association measures being taken in light of the 2020 water law will assist in educating and preparing them for the upcoming changes. Communication about these issues with the association’s experts/consultants and within the association’s community will be vital. 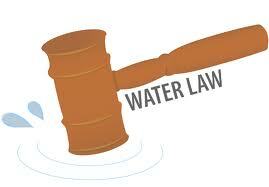 The information provided in this article is based on general research and other information made available to the public, and is written to be a summary of the 2020 water law from the standpoint of a community association lawyer (and not a landscape professional or water expert). It is important that associations consult with the appropriate experts, such as landscapers, when addressing issues related to irrigation infrastructure and equipment, plants, etc. By working with those experts now, an association will be well on its way to being properly prepared for the California water use requirements effective at the end of 2020.